Disputes over spending, immigration and health care have triggered shutdowns of the federal government in recent years. Now disagreements over President Donald Trump’s long-promised border wall are threatening to trigger a partial shutdown at midnight Friday. The Republican-led Congress and Clinton were still at odds on six of that year’s spending bills when the short-term fix ending the first shutdown expired. 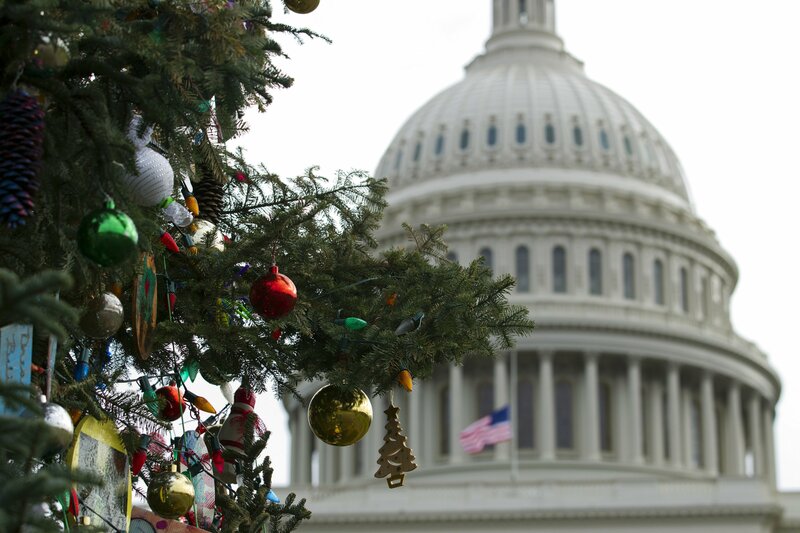 An estimated 280,000 federal workers were furloughed. They eventually agreed to spending plans that enacted some of the cuts Republicans wanted, though less than they had originally sought. Republicans took a political hit for the shutdown, which closed national parks and Smithsonian museums. Undercutting the GOP was Gingrich’s comment that the hard-line stand in negotiations was due in part to how Clinton and aides treated him and Senate GOP leader Bob Dole on an Air Force One flight. Gingrich complained that Clinton didn’t discuss the budget on the return trip from Israel, where they had attended the funeral of slain Israeli Prime Minister Yitzhak Rabin. Gingrich also groused about having to exit through a back door on the plane. Republicans who controlled the House and several Senate GOP lawmakers targeted Democratic President Barack Obama’s health care law. Democrats who held the majority in the Senate made clear the effort was futile. The shutdown was sparked when House Republicans insisted that a temporary funding bill contain changes in the health law, the Affordable Care Act, and Obama refused. The shutdown sent approval of the GOP plummeting in opinion polls. Senate leaders brokered an agreement after the House was unable to coalesce around a Republican-only approach. The shutdown lasted just short of three full days, starting on a Friday night and ending the following Monday when Democrats dropped their demands in exchange for a promise from Senate Majority Leader Mitch McConnell that he would address the immigration issue in the coming weeks. The deal was largely unpopular among Democratic voters, who blamed their representatives for caving in too easily. Republican Sen. Rand Paul of Kentucky single-handedly triggered the shortest shutdown in history with a filibuster that forced the Senate to miss a midnight deadline to approve a spending deal that Paul regarded as wasteful. As a result, the government technically ran out of money at 12:01 a.m. that Friday. But Congress members worked through the night and approved the bill at roughly 5:30 a.m. the same day, allowing the government to function normally with no interruptions.